The contest is open for everyone above 16 years of age. The design needs to be posted on Facebook and Instagram as a photo or a JPEG. along side a short write-up describing the stickers. Also, with the following #Tags (#Designandwinchallenge#ElevatewithICT #Techpentagon). Congratulations Ochei Destiny, These shows that You’ve worked so hard for it and deserve the recognition you’re getting now. This is just the beginning. This will be a stepping stone for you, Only be sure not to rest on your oars. On Facebook, he got 109 likes and 50 shares while on Instagram, he got 10 likes. Keep flying higher. Keep moving up. There’s no stopping you. once again, Congratulations!. 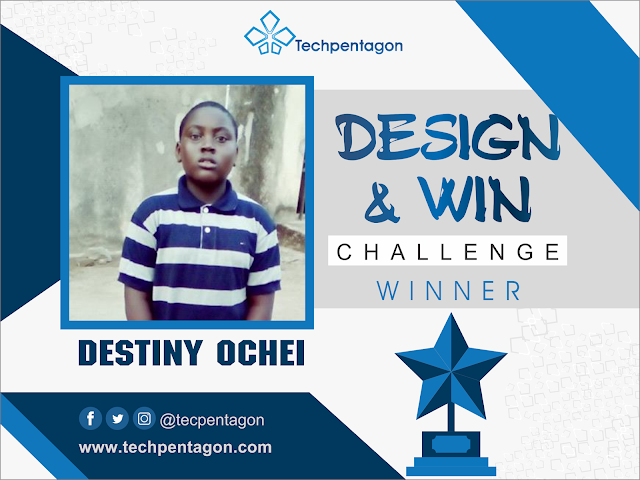 For every that participated in this challenge, Techpentagon say a big! Thank you. 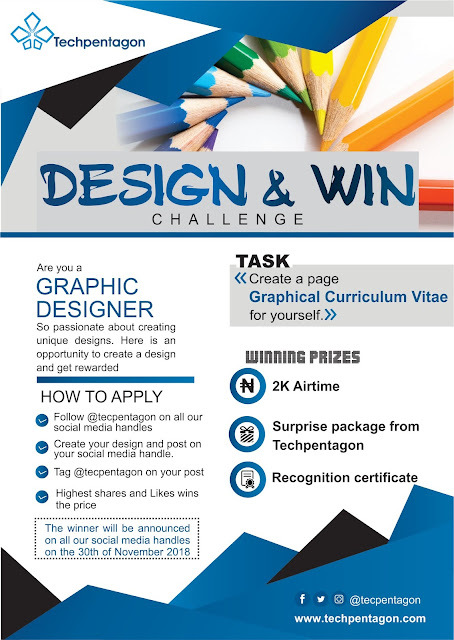 you all came a with lovely design, and for that, Techpentagon will be giving y'all certificate of participation. We love y'all. #DesignandWinChallenge#ElevatewithICT#Techpentagon#Design#GraphicalCV#Graphicdesign.